Superior technology and unparalleled service are what makes Star CNC shine. Star CNC Machine Tool Corp. is among the leading providers of superior technology and service to the machine tool industry. 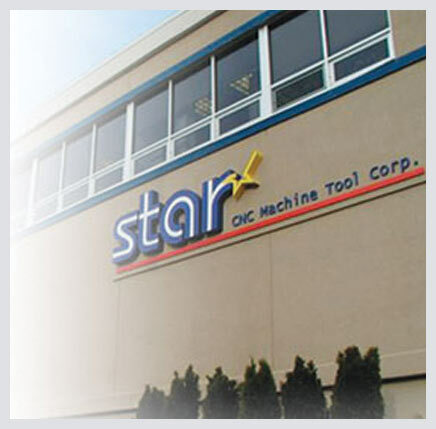 Founded in 1948, Star CNC is a division of Star Micronics Co., Ltd. of Japan, one of the world’s most respected manufacturers of Swiss-type turning machines for the production of small, complex and precise metal components. We are Star Micronics’ exclusive distributors in the United States. Our mission: to continually develop fast and efficient high quality, reliable and robust machines to manage the rigorous demands of today’s fast-paced 24/7 production environment. Star CNC looks beyond machine dynamics as our engineers seek to continually improve machine ergonomics, machine/worker safety and advance environmentally-friendly production. Application engineers are dedicated to helping our customers find the optimal off-the-shelf or custom configured Star CNC machine solution to deliver maximum production efficiency and cost-savings. Star CNC is well equipped to meet the demanding and dynamic needs of the machine tool industry today and for the future.